When Det. Jim Longworth (Matt Passmore) of the Chicago PD is shot by his captain and falsely accused of sleeping with his captain’s wife, he moves to a small town in Florida and takes a job with the Florida Department of Law Enforcement in A&E’s series ‘The Glades’. However, life in Florida doesn’t end up being quite as leisurely as Longworth may have thought. You can watch full episodes of ‘The Glades’ online for free with FreeCast, your personal online channel guide. 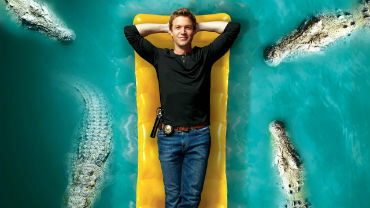 New episodes of the second season, which kicked off on June 5, 2012, premiere Sundays at 10 pm EST on A&E, but you can watch full new episodes of ‘The Glades’ online the following day for free. FreeCast will help you watch all of your beloved TV programs, not just ‘The Glades’, online. It’s not easy trying to fit your favorite shows into your schedule, until now as our site gives you the ability to watch TV shows any day, at any time for free online. Even if you can’t get to a computer or television, you can still watch ‘The Glades’ and other shows online through your mobile device.